While major shipping carriers try to be reliable, the vast size of their networks and sheer volume of parcels makes human error both inevitable and costly. When shipments pass through too many hands, there is a higher risk that your package will become damaged, delayed, or even lost entirely. At UNIVAL Logistics, we actually lower your risks by offering cost-effective insurance for shipping your most valuable items. 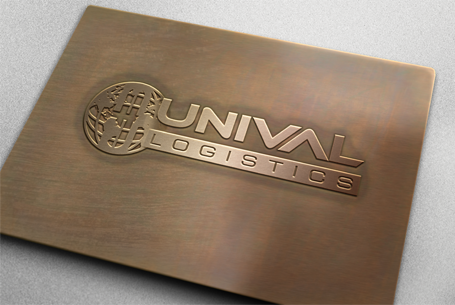 UNIVAL Logistics is an international end-to-end shipping company that specializes in delivering high-value items. Yet in addition to providing a secure delivery service, we also provide insurance for shipping to give our clients added peace of mind while their goods are en route. When you are shipping valuable goods like electronics, produce, jewelry, or retail inventory, you absolutely need your goods to arrive at their destination on time and in perfect condition. And when something goes amiss, you need to be protected from losses entirely outside of your control. UNIVAL Logistics parcel insurance options will give you the best protection in the business. Because as a multi-modal shipping company that specializes in secure international delivery, we understand the unique risks you take on when shipping items by land, sea, air, and all of the above. Not only will our logistics experts leverage our international network to find the most cost-effective and secure route possible, we will also coordinate a shipping route that connects only those shipping carriers that will comply with your requested insurance. While some routes may take longer than others, sometimes it is necessary to compromise in order to ensure that your package arrives to its destination safely. When you secure insurance for shipping with UNIVAL Logistics, you know that you'll be protected no matter what happens. If you need parcel insurance for your high-value shipments, contact UNIVAL Logistics to find solutions to all of your most complex shipping needs. Call our logistics and package insurance experts today at 213-368-3444.